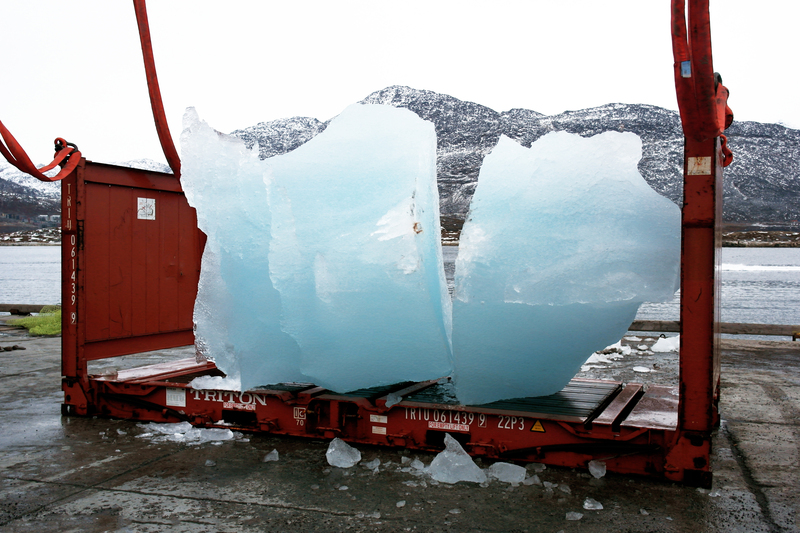 Twelve immense blocks of ice, harvested from free-floating icebergs, are on their way to Paris from Greenland. Packed in freezer containers normally used to ship shrimps, the blocks will be arranged in a clock formation on the Place du Panthéon, where they will poignantly melt away – as leaders try to thrash out a deal to curb climate change. 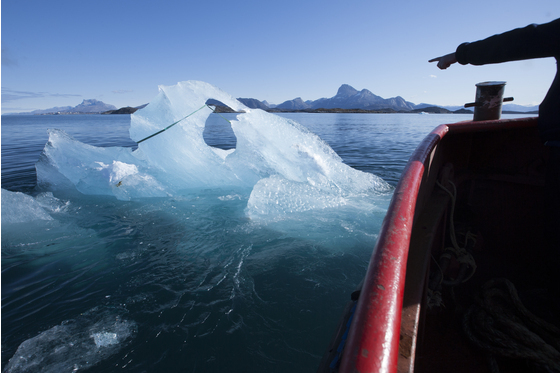 Ice Watch Paris – the joint creation of an Icelandic-Dutch artist and geologist from Greenland – is imagined as a way of making the fragility and decay of the Arctic tangible. “You stand in front of the ice, and then you can touch it ….You'll see children hugging it, even tasting it,” says Olafur Eliasson, the artist best known for creating a rising sun in London Tate’s Turbine Hall. Each block weighs about 10 tonnes – the equivalent of 20 male polar bears – and is a tenth of what melts every second during the Greenland summer. The installation has shifted venue from the Place de la République – where flowers and tributes have been placed in memory of the 130 people killed by recent terrorist attacks in the French capital – and empty shoes have been left out to replace the cancelled climate march. Ahead of the December 3 opening, chinadialogue spoke to co-creator and geologist Minik Thorleif Rosing, who grew up in Greenland and whose research in the region dated the origin of life on Earth to several hundred million years earlier than previously thought. 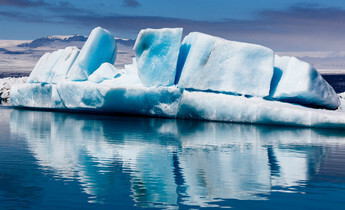 chinadialogue (CD): Why are you bringing ice from Greenland? Minik Thorleif Rosing (MR): This is the sequel to an event in Copenhagen in 2014, when we brought 12 icebergs to the city square to melt - so people could see and understand the reality [of climate change] for themselves. CD: Is seems counter intuitive to take away the ice you are trying to save? MR：This is a question people often ask. First, it’s not a large amount and second, these are pieces of ice that have already taken by the sea. One of the icebergs represents the amount of Greenland ice lost in one thousandth of a second – and so these blocks provide an important message about the scale of the loss. CD: Are we past a tipping point – a point of no return? MR：Melting is accelerating, but we’re not past a tipping point – the problem of course about tipping points is that we don’t know where they are. There are concerns, however, that the melting ice will change currents in the North Atlantic Ocean and have other strange effects. There is some research on this be carried out at the moment. CD: Can you tell me about your geological exploration of Greenland? MR：As a geologist I went to look for the first signs of life on earth. This shows how life affects earth as a planet – and so this tells us how humans affect the planet. In the past there have been mass extinctions caused by climate disasters induced by living organisms tampering with the carbon cycle. Organisms take carbon and store it in the ground, while humans retrieve and burn carbon that has been sequestered in the ground over millions of years back into the atmosphere as carbon dioxide. Cd: How have people reacted to your art work in the past? MR：Very positively - even from people who don’t make the link with climate change. They feel happy to see and touch an iceberg. It helps give people a sense of optimism. You don’t encourage people to protect things through fear, but through happiness. I feel there has been a shift since the COP [Conference of Parties] in Copenhagen. At COP15 in 2009 the debate was whether there was a problem and the responsibility of humans (to deal with it). Now the debate has shifted to what we can do about it. At the same time, economic factors are starting to push things forward, such as the growing investment in green energy etc. CD: What is Greenland like and how has it changed over the past decades? MR：It feels wonderful, but of course there have been lots of changes. The sea ice doesn’t form in the way it did in the past. You can’t sledge over the dark ice, you have to sail through it. The ice caps are also retreating. There are new species, for example you can catch tuna off Greenland, which was unheard of in the past. CD: Why did you become a geologist? MR：I grew up in Greenland and have always wondered how this beautiful Earth came about. Geology provides answers to a lot of questions, and teaches you to interpret the stories told by rocks. CD: What role does art play in tackling climate change? MR：Science can help achieve our goals, but it can’t show us where we want to go, formulate visions, or move people to want to do something. Science tells you about the problems, but you need inspiration to start solving them. This is where art plays an important role. I think this type of enviro art is a good way to help people understand climate change. The glaciers are whats melting out in the arctic and bringing those to cities and having them melt allows people to see first hand the affects of climate change.